The American Lamb Jam is an epic chef competition and culinary experience that brings together 16 of the most talented chefs in each of the six tour cities to celebrate the 80,000 family operated farms and ranches raising sheep in the U.S., and compete for the chance to battle for the title of Lamb Jam Master at the Lamb Jam Finale. Lamb Jam Tour offers partners the unique opportunity to connect simultaneously with F&B industry professionals, local influencers, and consumers. Our sponsor integrations connect brands with our audience by aligning our partners with defining elements of the event to create truly memorable experiences for guests. At each stop along the tour, competing chefs spend weeks working with their teams planning their Lamb Jam dish. On the day of the event, chefs arrive with their a-team in tow ready to flaunt their culinary prowess. Chefs are joined by brewers, winemakers, bartenders, and culinary artisans of all sorts who've come together to create an unforgettable gastronomic experience for a community of passionate and adventurous eaters, food & beverage industry influencers, and local tastemakers and trendsetters. At each stop along the tour, adventurous, affluent and influential food lovers gather to eat, drink, unwind, and be inspired. From inspirational culinary artisans, bartenders, brewers, and wine makers to influencers and food media, the Lamb Jam experience is crafted by those in the know. Lamb Jam Tour offers partners the unique opportunity to connect simultaneously with F&B industry professionals, consumers, and local influencers. Our sponsor integrations connect brands with our audience by aligning our partners with defining elements of the event to create truly memorable experiences. Be the first experience for each and every Lamb Jam attendee with a pairing crafted specifically to align with your brand. It’s a Battle Royale for local mixologists - going head to head in our cocktail competition. Brand placement and ownership/naming rights of the 2019 competition is available! Hold the spotlight as the curator of our ‘Craft Beer Experience’ that puts your brand at the center of our beer programming and shows your support of the craft beer scene by aligning you with two hyperlocal nano-breweries at each stop on tour. 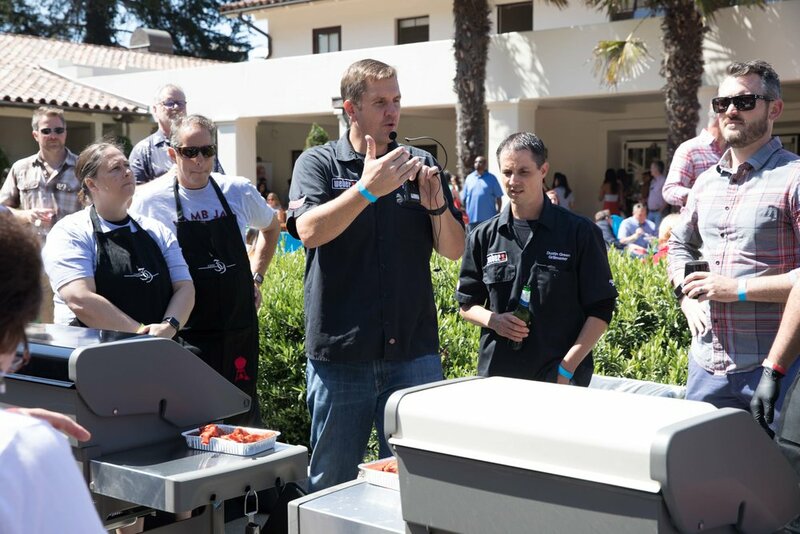 Activations designed specifically to reach food and beverage industry professionals include an Industry-Only After Party, Chef Concierge Team, The Chef’s Pantry, and Chef Prizes & Gifts. Be a part of the action by integrating your brand directly into one of our featured bites. From beer infused BBQ sauce & goat cheese icecream cones to charcuterie pairings, we’ll be placing your product in the bellies and hearts of our guests. Our media team will direct, shoot and edit social-friendly video and photo content highlighting your activation at Lamb Jam. Guests were greeted with a welcome bite of Loukaniko sausage with pickled ramps, created by Chef Kosta Tranxidis from State Park, paired with Allagash Curieux, ensuring every Lamb Jam attendee was introduced to Allagash Brewery’s line of Belgian-inspired beers. To keep chefs and guests well hydrated, the San Pellegrino Water Cart circulated before, during and after Lamb Jam to get San Pellegrino and Acqua Panna directly in the hands of all in attendance. To encourage chefs and home cooks to think outside the box when it comes to using goat cheese, we created an immanently Instagramable bite: Goat Cheese micro-cones topped with goat caramel. The launch of Brooklyn Brewery’s Bel Air Sour provided the perfect occasion for Lamb Jam guests to party tartly in Brooklyn’s Bel Air Lounge complete with yard games, BBQ lamb ribs from Andy Husband’s Smoke Shop, ample lounging opportunities, and of course, plenty of Bel Air Sour. 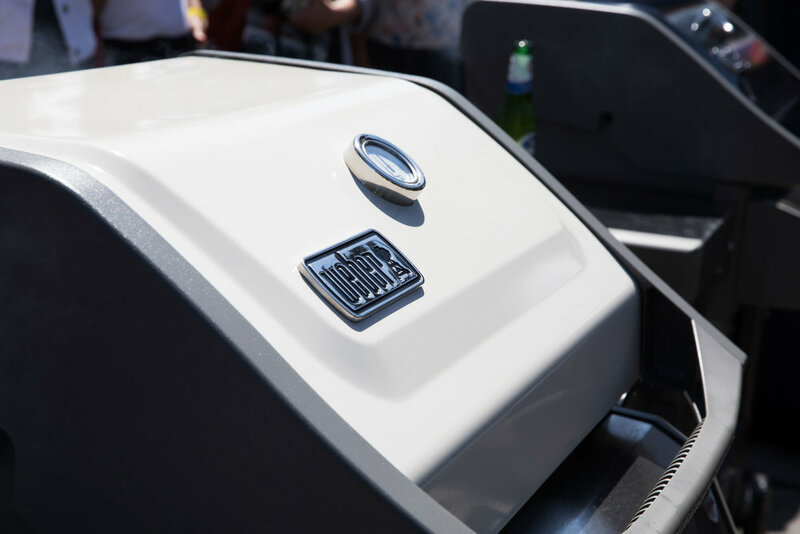 We worked with Weber Grills & Line 39 Wine to create a one-of-a-kind patio party with special guests: Weber Grill Master Kevin Kolman and Line 39 Winemaker Steven DeCosta. 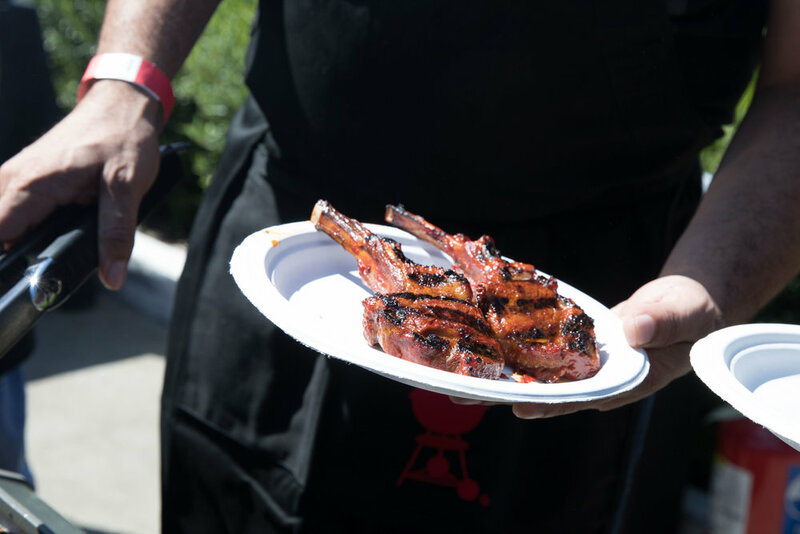 Attendees were treated to world class BBQ, traditional reds, vibrant whites, yard games and giveaways…and a handful of lucky guests got to experience a hands-on lamb chop grilling and wine pairing crash course. To make sure attendees could appreciate the quality of Fara Coffee’s Nicaragua-grown and Austin-roasted beans, we collaborated with Fara on a cupping class activation that taught attendees how to properly taste their coffee. Bombay Sapphire paired a decorative garnish & bitters bar with a specialty cocktail demonstration to captivate the senses and inspire attendees to get creative with their gin cocktails.